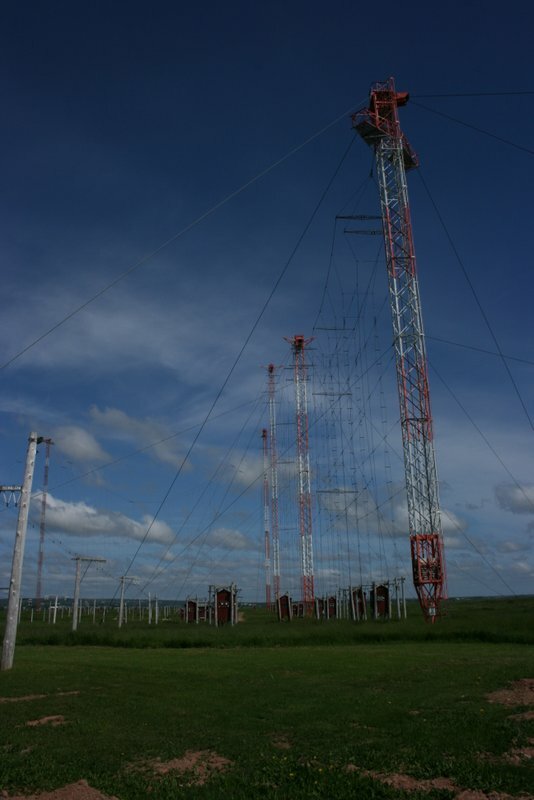 October 31st is quickly approaching and the CBC has requested that the remaining employees at Radio Canada Internationals Sackville transmission site begin dismantling antennas and transmitters that are not currently being used for their remaining three broadcaster clients (NHK, KBS and the Voice of Vietnam) and the CBC North Quebec Service. To be clear, once this transmission infrastructure is dismantled, there will be no going back. In the next few days the transmission lines that allow Canada to broadcast to the world will be taken down one by one. For more than 67 years Radio Canada International’s shortwave transmitters have guaranteed that Canada’s voice would be heard despite the Cold War, despite natural disasters, and Internet blocking. Now this efficient, cost effective communications tool will be dismantled by Canada’s public broadcaster CBC/Radio-Canada. Those of us who understand how important this lifeline to the world is to world communication are sick to our stomachs at the rapidity with which the broadcaster wants to make the transmitters disappear. Shortwave broadcasts of Radio Canada International ended on June 24, 2012. Other countries’ use of our transmitters will end on October 31. But CBC/Radio-Canada has already started the process of dismantling unused transmitters, and will start taking down still functioning transmission lines very shortly. […]The transmitters are there, they don’t cost much to maintain. Why do we want to cut ourselves off from being able to communicate with the world? Who should be making these decisions? Please contact Canada’s Heritage Minister James Moore james.moore@parl.gc.ca and tell him to stop CBC/Radio-Canada from dismantling our transmitters. The above is a clip for RCI Action’s post, read the full message on RCI Action’s website. Please, if you feel strongly about the value of RCI’s Sackville site, contact Canada’s Heritage Minister James Moore james.moore@parl.gc.ca and tell him to stop this process. This entry was posted in Broadcasters, News and tagged Canadian Broadcasting, CBC, CBC North Quebec Service, Radio Canada International, RCI Action, RCI Cuts, RCI Sackville Shut Down, Sackville Closure, Sackville NB on October 17, 2012 by Thomas. I listen to Voice of Russia on occasion but I would surely miss RRI. Their interval signal always pulls me in. I love their French and English broadcasts. Has all of the charm I appreciate in the smaller international broadcasters. VOR, in fact, seems to be proliferating through the AM scene in metro areas. The time to have saved these broadcast was several years ago by actually listening to the programs (not DXing them). Now is the time to work on saving Voice of Russia and Radio Romania.